Product packaging has an incredible impact on our daily lives. Our perceptions of products and the decisions to purchase them are influenced by factors ranging from structure to graphic design or to its environmental impact. Having spent over 30 years in the packaging industry, the team loves finding new and different packaging ideas that break the mold and deliver something new, maybe even chancy. We will examine packaging that catches our eye and share our insights. We welcome your comments and more importantly your questions. Walking down the pet aisle at the grocery store is pretty normal for me since I have two dogs. 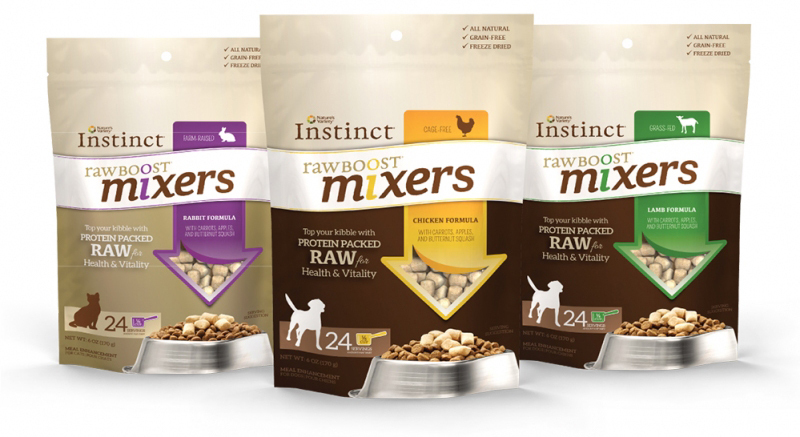 Recently I noticed the simple and clean graphics for Raw Boost Mixers by Nature’s Variety®. 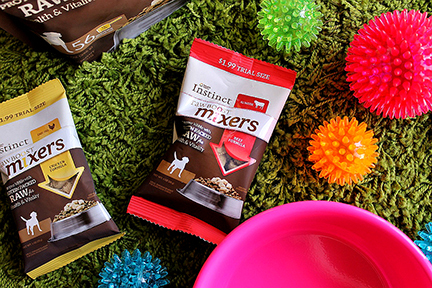 I instantly understood the product intentions (pour it on your pet’s food, mix it in, and let them eat). 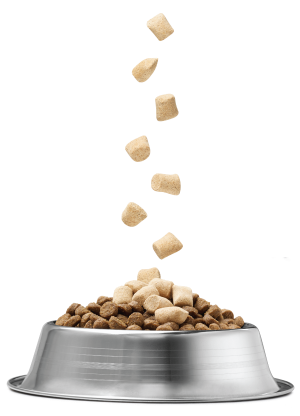 This is basically done with a large colorful arrow that stands out against the neutral background pointing to a bowl of pet food with the product on top. The small window also lets you see the actual product. The simple animal icons clearly let you know (A) if it is for a cat or dog and (B) the type of meat in the product (chicken, turkey, beef or lamb). Additionally, the re-closable top makes the product easy to access and also keeps the product fresh. 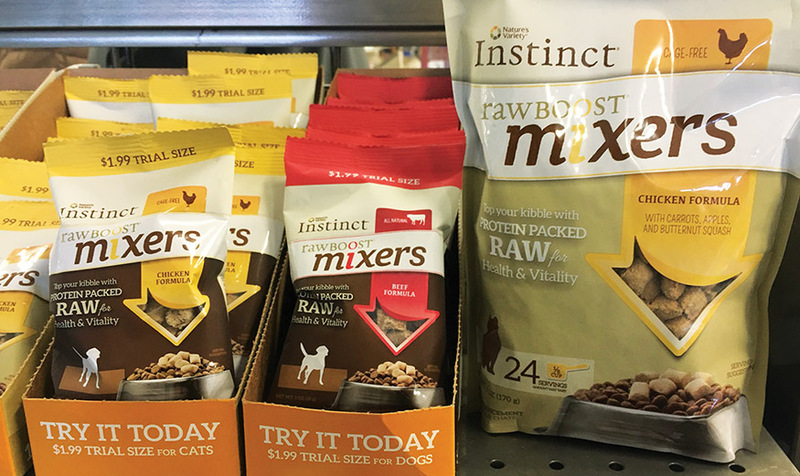 I applaud the brand team that took the risk of elevating this product/package creativity and execution out of an ordinary animal care food category to a high-quality, nutritious product for your pet. This is clean and on-point packaging work. If you are looking for great packaging solutions, let our creative team help you achieve what the Nature’s Variety® team has done – excellent packaging! Contact us at 920-725-4848 or info@brand-directions.com.